CG PET 2019 Preparation Tips can help you to achieve better marks in the CG PET examination. 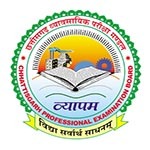 The CG PET (Chhattisgarh Pre Engineering Test) is a state level examination supervised by the Chhattisgarh Professional Examination Board. This exam is conducted for selecting students for admissions in B.Tech courses offered by different colleges in Chhattisgarh state. Here we are providing some best CG PET Preparation Tips. First of all, prepare a timetable for your preparation as per your schedule. You should pay attention to the entire syllabus and divide time accordingly. Never plan long study hours and try to include some short breaks between every hour of study. Choose the best books which include the entire syllabus of CG PET exam for your preparations. Solve sample papers and previous year question papers so you can get familiar with the exam pattern, question weightage, types of questions, etc. Also, practice mock test it will help you to analyze your preparations. Go through the preparation books and prepare some short notes on those topics in which you feel difficulty. Practice more on prepared topics and discuss them with your teachers, classmates, and tutors. You can also use the prepared notes at the time of revision. Revision is the most important part of any exam preparation. You should prepare a revision plan for your studies on daily basis. The more you revise the topics it will make your understanding better for those topics. The CG PET is an objective exam so you can focus more on the objective questions. Take care of your health during the exam preparation time. Take a proper sleep of 7 to 8 hours daily. Do exercise, yoga, and meditation it will keep you fit and help to concentrate on your studies. Keep your mind free from stress. Take a nutritious and balanced diet and avoid junk & oily food. If you have any other queries regarding CG PET Preparation Tips 2019, you can leave your queries below in the comment box. Plzzz tell me which is the best book for PET preparation? ?